So this is the Line Art alteration that I decided to go with in the end after trying several different character from various shows, such as Optimus Prime from Transformers and Iron Man from the Marvel comics. Batman was much more simple to colour than the previous line art choices I made. However, whereas normal Batman uses a black and grey colour scheme on his costume, I opted to go with the Red and Blue costume and make Batman look like he was trying to copy Superman in style. 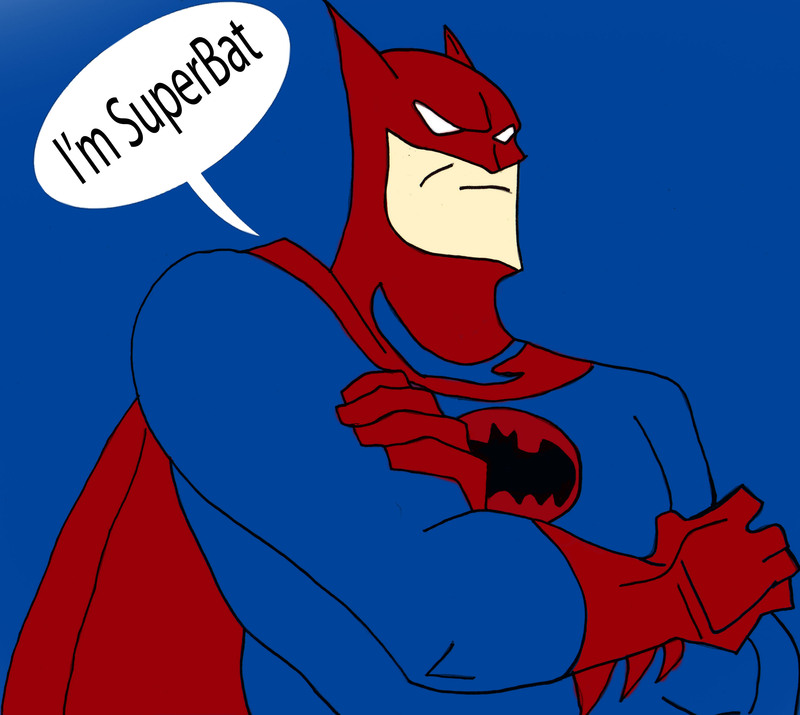 Taking this idea to the next step, I cut a speech bubble into the picture and changed the famous Batman saying “I’m Batman” into the new and not as imposing “I’m Superbat” a play on the names of both Superman and Batman. Altering the image in Adobe Photoshop proved to be a little bit of a challenge in its own right because I have not used it for a long time and had forgotten where a lot of the tools were placed within the program, so it was a lot of fun finding the correct tools in order to alter the image the way I wanted too. Using the Lasso tool and the paint brush, it was easy to exclude parts of Batman and colouring it in before moving onto the next area. If it comes around to doing line art again at any point, I will likely try a more complicated picture, with more lines and sections to colour so that it looks a lot more dynamic.